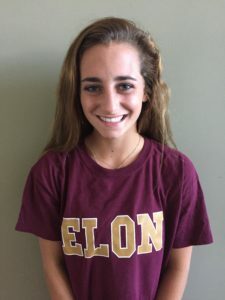 We would like to congratulate Caroline Goudy on her commitment to Elon University! Here are Caroline’s recruiting story and interview after her commitment. Good luck as a Phoenix! I started my recruiting process the summer going into my junior year of high school. Truthfully, the process was pretty stressful, but with the help from the SportsForce team, the burden of emails and profile/video links was lifted. Once I found the right fit for me the process was pretty easy. I committed in March of my junior year and am looking forward to signing next year! I will be attending Elon University in the fall of 2017. I chose this university because of the great academics, close relationships between the teachers and students, small classes, Division I athletics, and the beautiful campus. SportsForce helped me narrow down my options and pick the schools that fit my needs as a student-athlete. After zoning in on a handful of schools, the SportsForce team assisted me with emailing coaches before games, tournaments, ID Camps, etc., configuring my recruiting profile, and forming a video with a medley of game film highlights. I would advise any player looking to be recruited to definitely start as early as you can by going to ID camps, sending out emails, and configuring recruiting profiles and game film videos. The highlight video that was located on my profile was very helpful for coaches who were viewing my profile. The coaches were able to view my video and decide whether or not I would be a good fit for their program. Lastly, I would advise players to keep sending college coaches emails with their most recent schedules or just to say hello and update them on your game. Try to build relationships with the coaches and make them know you for your consistency and persistence. I am very excited to further my academic and athletic journey at Elon University. I cannot wait to continue playing the game I love at a college that I love! I am also excited to get involved in clubs, Greek life, and form bonds with new friends, coaches, and teachers. Yes, I would definitely recommend SportsForce to any student-athletes who are looking to be recruited by colleges! This team helps you narrow down your options, assists you with emails, profiles, video highlights, and guides you on how to speak with coaches personally to help promote you as a player and student. Congratulations to SportsForce client Saben Lee. 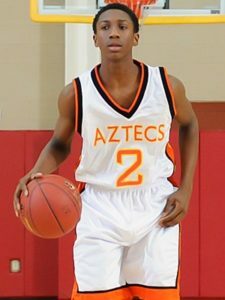 Saben is a 2017 Point Guard from Phoenix, AZ. We began introducing Saben to college basketball coaches in his sophomore year of high school. Within about the first year of our working together, Saben received more than 20 Division I offers, including Stanford, Nebraska, Louisville, Utah, Pepperdine, Boise State and many others. His final commitment was made to Coach Bryce Drew at Vanderbilt University of the SEC. Good Communication: top college recruits understand how to effectively communicate with college coaches by asking strategic questions that uncover a coaches’ true interest in them, while also being uniquely prepared for those questions college coaches will ask of them. Appropriate Target-Lists: top college recruits focus on proper target-list schools and sports programs that match their athletic and academic skill-set, instead of wasting valuable time and energy on collegiate opportunities that most likely will never be realized. Take Control: top college recruits avoid the trap of relying solely on external factors to generate offers, such as assistance from high school or club team coaches, and only attending viewing tournaments, or camps in order to be “seen” or evaluated by college coaches. Stay Disciplined: top college recruits prepare for, and are diligent in the use of appropriate follow-up strategies with college coaches, even when some opportunities appear to be going nowhere. They spend time researching best-fit schools and make it easy for coaches to communicate with them. Game Plan Execution: top college recruits learn the importance of creating and then executing a well-thought out plan to beat the competition, and the competition is fierce in order to achieve your college recruiting goals. They know the absence of a well-developed plan creates uncertainty, misdirection and lost recruiting opportunities. Our partner Matt Hunt from College Hunt helps students successfully navigate the college selection process. In his latest blog post, he explains what steps you need to take when receiving multiple admissions offers from the schools you applied to. Congratulations, you’ve earned multiple admissions offers from the schools you applied to! This is a time in your life that’s filled with excitement, happiness, and I’m willing to bet a little confusion on the ultimate next step…where to enroll? With some careful planning, you can lessen the confusion while increasing your confidence on which school is best for you. Begin by revisiting your reasons for applying to each individual school. Is there a particular major or program that sparks your interest? Do they offer internship or co-op opportunities that could lead to a future career after earning your degree? 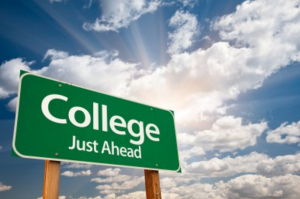 Remember, while having a wonderful college experience is important the main goal is to come out prepared and ready to compete in the job market. If one of the schools provides something different and unique that you believe would provide incredible learning and training you may be able to eliminate a few off the list. The cost of higher education continues to skyrocket every year. Do not underestimate the value of each individual financial aid package offered by the various schools. Now is the time to break down what each school is offering and compare and contrast those offers. One of the biggest misconceptions students and parents have is the admission or the financial aid offices frown upon communicating with students who were offered admissions. Contact the financial aid office and discuss the package, don’t be afraid to ask for more or if there in anything else available to lower the cost. Trust me, the admissions offer will remain; it will not be rescinded because you or your parents inquired about the possibility of accessing more aid. In the end, the less debt a student can encumber the better, any money saved can be put towards numerous expenses in the future. Make time to revisit the campuses, mainly the ones at the top of your list. Now that you’re “in” you may have a different perspective or feel for the campus. Similar to when you first considered and saw the school, work on scheduling a time with a professor in the department you plan to study, observe classes, check out the housing, meet with students in the desired major, and what a perfect time to stop by the financial aid office (see above) to learn more about the offer. Once you’ve made the final selection on where you’ll attend, congratulations, but you’re not done yet. Best to quickly and appropriately communicate with the schools you’ll not attend so they may offer your spot and financial aid to another student. Showing professionalism and gratitude is best and something you will do throughout life so start now by letting those schools know you’re respectfully declining. Gaining admissions into multiple colleges and universities is a wonderful experience and the culmination of a tremendous effort by the student and parents. Take time to review the different opportunities and make the best decision for you! Our partner Matt Hunt from College Hunt helps students successfully navigate the college selection process. In his latest blog post he explains, what steps students need to take throughout high school in order to compete for an admission in the Ivy League. “Give yourself the opportunity to compete!” The Ivy League consists of eight of the most competitive admissions and desired campuses in the country. Brown, Columbia, Cornell, Dartmouth, Harvard, Princeton, U Penn, and Yale are the schools that make up the Ivy League. Each year they receive thousands of applications for not nearly the equivalent of spots. How does a student give themselves an opportunity to compete for admissions? There is a process to follow, first, it’s important to look at some admissions numbers, and truly understand how extremely competitive it is. Here is a snapshot of admissions applications at three Ivy schools last year, Brown had 28,742 applications and 2,627 accepted= 9.14%, Princeton had 26,641 applications and 1,983 accepted= 7.44%, and Yale had 27,283 and 2,109 accepted. As you can see the competition is steep. Competition is not a bad thing, and if you’ve decided to apply to one or two of the Ivy Leagues schools great, just understand the best of the best apply every fall and in reality, it’s become a global competition. Now that we understand the level of competition, what can a student do throughout high school to give themselves the opportunity to apply? A positive display of well roundness in all aspects of your life. Must enroll in highest curriculum possible, with continued rigor throughout four years (Honors and AP courses- go with strengths). Take advantage of the curriculum offered at your high school. Three or more years of World Language and Science. Strong performance on SAT or ACT tests. The Ivy Leagues schools use what is called a “holistic” approach when reviewing individual applications. A holistic approach is one that allows the admissions officers to dig deep into the application by reading letters of recommendations, multiple essays and short answer questions, and extracurricular activities. “What separates you from other applicants?” Is a question that plays a major role throughout the holistic admission process and final decision? Did you participate in an internship that matches with your future major and career goals? Have you shown extraordinary initiative or creative thinking in seeking out or designing an opportunity for yourself? Have you displayed the strength of character in overcoming adversity? Many of the Ivy League school applications will require an essay and often more than one. This is a tremendous opportunity to express more about yourself, your future goals, a particular strength, or area of growth. Do your research- adding specific information about a major or program reflects well. 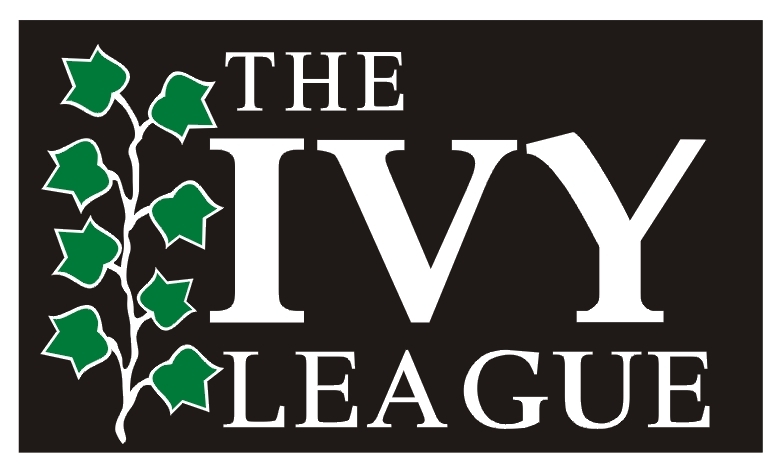 The Ivy League schools provide students an outstanding educational opportunity. Once a student understands and accepts the level of competition they should move forward with completing the application and wait for the final decision.